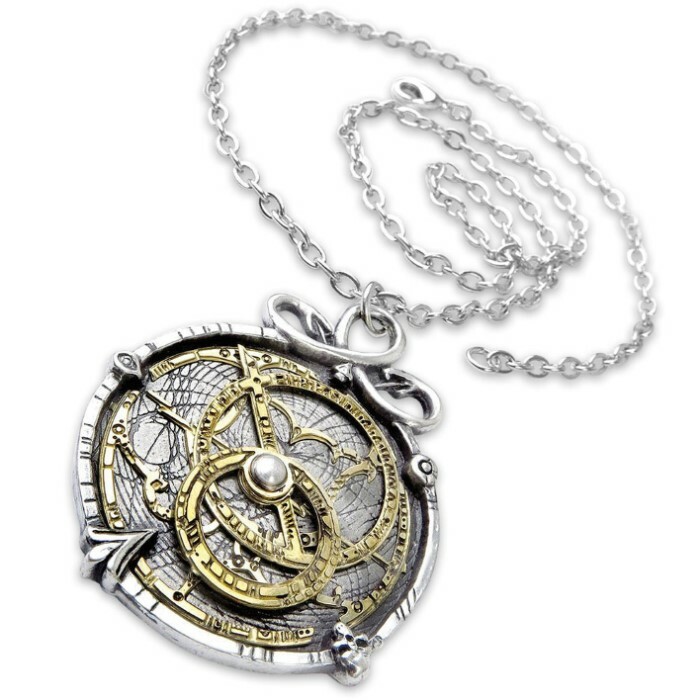 Working Astrolabe Necklace Of English Pewter And Brass Inlay | BUDK.com - Knives & Swords At The Lowest Prices! 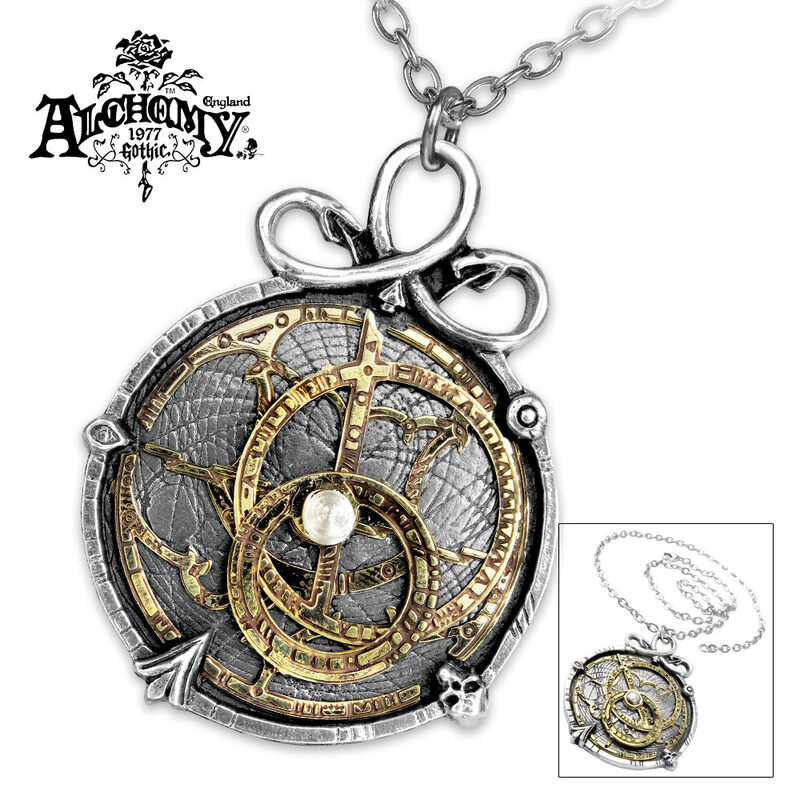 With the Working Astrolabe Necklace around your neck, you will always be able to measure the path of your destiny by the movement of heavenly bodies. This intricately complex pewter and brass pendant is a working miniature of an 18th Century astrolabe instrument that came from the personal effects of the fabled Dr. Von Rosenstein. With multiple brass layers, these complex parts have a circular movement, with a detailed etched English pewter base and the pendant is suspended from a coiled double-headed serpent on a 21” chain. This pendant is 1 1/2” x 2”.